Running from October 19 through November 4 (TBC), THE FABULOUS NICHOLAS BROTHERS, part of the BFI's Black Star blockbuster season, will feature an exciting compilation tribute hosted by Bruce Goldstein, Director of Repertory Programming at Film Forum in New York - legendary programmer, and writer and co-producer of a 1991 documentary on the brothers. This rare and unique tour is a collage of home movies, photographs and film clips, and received a standing ovation when presented at the Turner Classic Movies Film Festival. It features some of the Nicholas Brothers’ best routines on film, a succession of jaw-dropping leaps, flips and splits executed with flawless style. 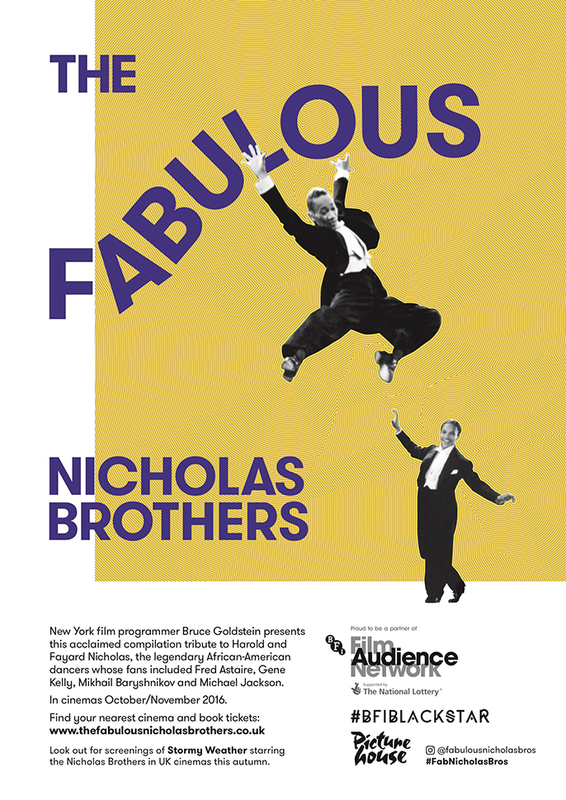 Clare Binns, Programming & Acquisitions Director at Picturehouse said, “I first saw Bruce Goldstein present his programme 'The Fabulous Nicholas Brothers' three years ago at The Film Forum in New York. Their dancing and fascinating lives blew my cinematic mind. From that day on I knew that these amazing brothers and their stories should be brought to UK audiences. 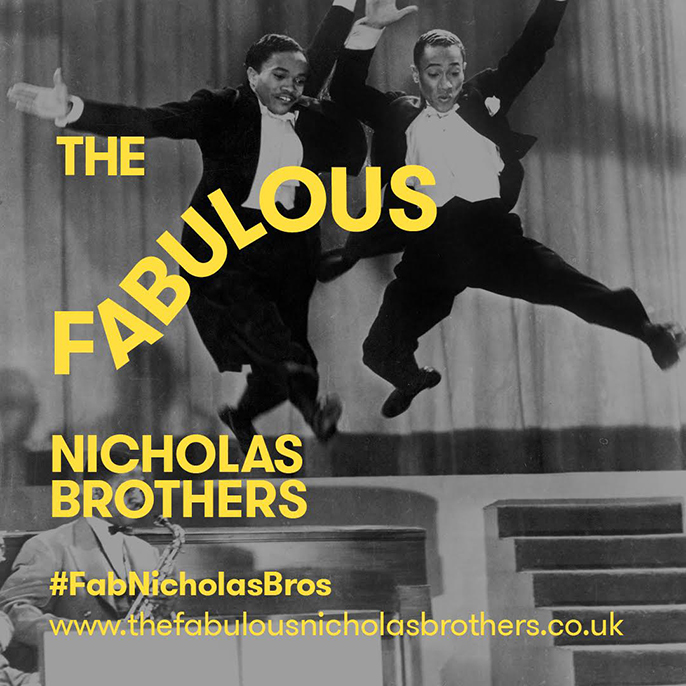 If Fred Astaire, Gene Kelly and Michael Jackson were all in awe, then you will be too.” Clare dedicated Screen 3 at the Picturehouse Central to the Nicholas Brothers, and it is here that THE FABULOUS NICHOLAS BROTHERS will start on October 19. "Daring, innovative and light years ahead of their time, The Nicholas Brothers should be included on every list of all-time greatest dancers. Don't miss your chance to bask in their brilliance on the big screen, where it simply must be seen, “ said Ashley Clark, Season Programmer, Black Star, BFI Southbank. The Fabulous Nicholas Brothers, Fayard (1914-2006) and Harold (1921-2000), rank among the greatest dancers of the 20th century. Despite racial hurdles, the self-taught African-American entertainers became one of the biggest musical acts of their time, headlining on Broadway, radio and television and in vaudeville and nightclubs. Their dazzling, show-stopping numbers in movies such as Down Argentine Way, Sun Valley Serenade and Stormy Weather made them international icons. Known for effortless balletic moves, elegant tap dancing and perfect rhythms - along with a consummate grace and sly sense of humour - the Olympian brothers are in the end impossible to categorise. The dancer’s dancers, their fans have included Gene Kelly, who teamed up with them in The Pirate; Bob Fosse and Gregory Hines, whose first acts were modelled on them; ballet legends George Balanchine and Mikhail Baryshnikov; Michael Jackson, who once had Fayard as a dance coach; and Fred Astaire, who named their Stormy Weather ‘staircase’ number the greatest of all musical sequences. Bruce Goldstein is Director of Repertory Programming at Film Forum in New York – a legendary cinema programmer, writer and co-producer of a 1991 documentary on the brothers. Sunday 23 October – Duke of Yorks, Brighton.